Despite starting near the back of the pack, things are looking good as I speed past the cars on the inside. But it is the corners that a race is decided upon and the Shanghai Circuit has its day of reckoning early, pushing drivers through a 90° corner followed almost immediately by turns two and three sending the vehicles corkscrewing around. With a queue of cars in front of me at turn three I hit the brakes bleeding off the revs and speed too much and allowing the drivers on the other side to get the advantage. Soon the pack disperses and I successfully retake my position from the car that started behind me. I hold him off for about three laps and slowly gain on the Geely Emgrand GL in front. Pushing hard around turn nine I aim to overtake on the inside. The track however is slick and my GL loses traction spinning me off the circuit. I narrowly avoid being hit by the car behind. The car stalls and it takes a while for me to get back on the track, now in last position. For me the race seems to be over, but it never is until the chequered flag. Near the front drama unfolds as the leader spins off only to be hit by the second positioned car ending his race. At least I can say I finished, even if it was last. 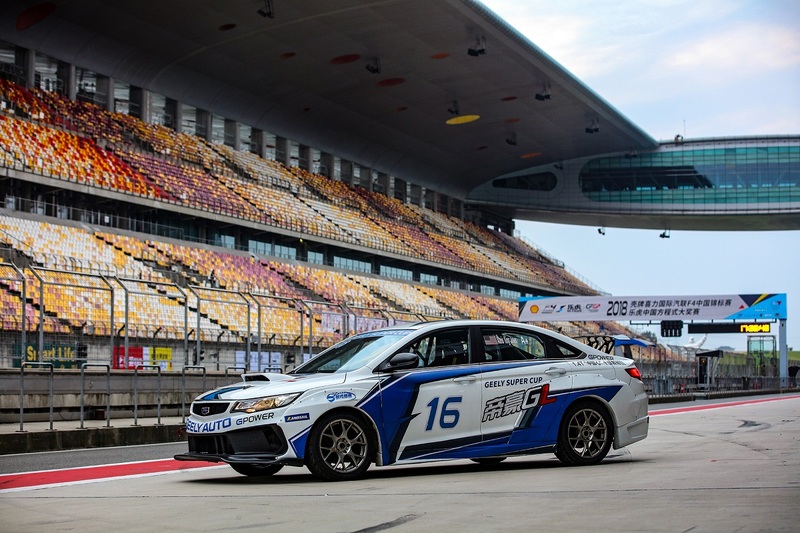 For drivers in the Geely Speed Challenge Race, part of the Geely Emgrand GL Super Cup, it represents a rare affordable way to participate in motorsports in China. “Most motorsports fans don’t have an opportunity. It usually costs RMB2000 just to do one lap of the Shanghai Circuit” explained Jiang Shan one of the lucky drivers in the race. Like many of the drivers it was his first time in a real race. Bread Talk franchise owner Zhao Bing is no stranger to the Shanghai Circuit but he has only ever experienced a race from the stands. 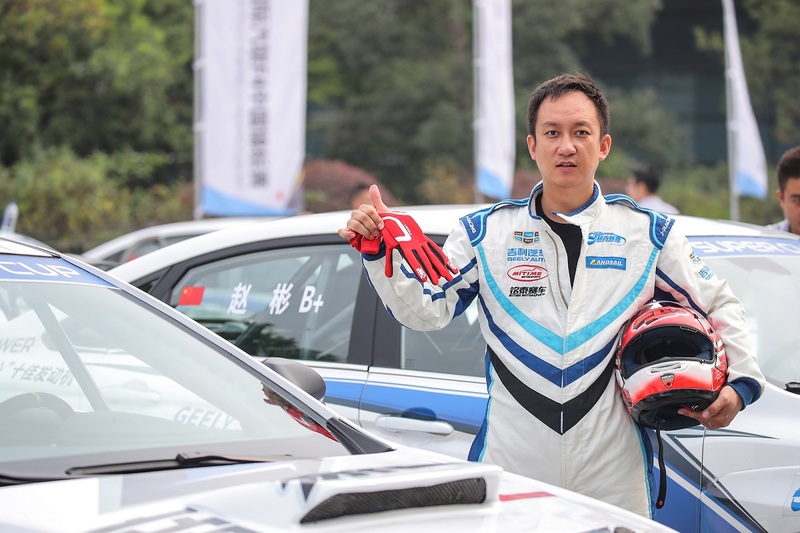 “My friend did it in Chengdu and suggested I try” says Zhao referring to the Geely Speed Experience Camp. For many of the drivers in the race this was their first step. 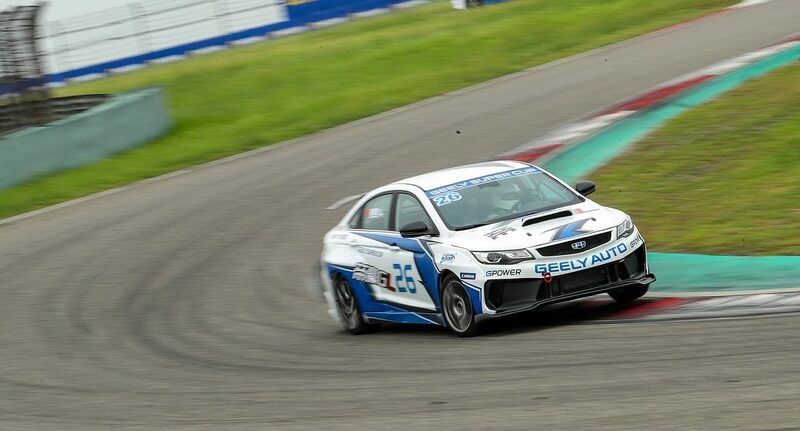 Geely Auto holds the two-day experience camps in various cities around China providing motorsport and Geely fans a chance to try a Geely GL race car along with other vehicles from the Geely Auto range. Free to register and join, participants get basic race training along with driving experience. 2018 saw the introduction of the Emgrand GL Race Car. Based on the standard car which entered production in 2016 it is the first time a Geely 3.0 era vehicle has been used in Geely motorsports. With a drag coefficient of just 0.29 and class leading dynamics along with a 1.4 turbo engine that won a ‘China Heart’ 2017 award as one of China’s top ten engines, the standard GL is an ideal starting base. Race modifications include a body kit to increase aerodynamics and down force along with improved cooling for the engines. To comply with FIA rules the interior is stripped out and fitted with a roll cage and racing seat with four point harness. Many of the people attending the experience camps, publicised on social media, are Geely Auto fans and owners. Cao Sheng works in the second hand car industry and his second car was a Geely. Thirty years old now, he started carting at age thirteen and as a diehard race fan, he learnt about the event on the social media account of Mitime Racing group. Despite his carting experience, it is Cao’s first time driving on a track. 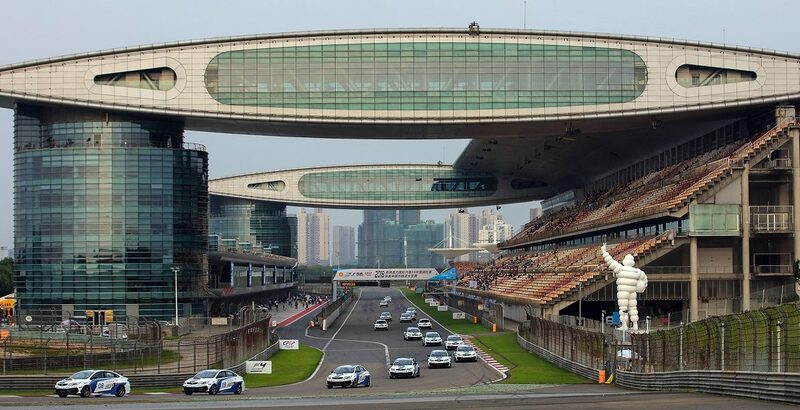 Mitime, owned by Zhejiang Geely Holding Group, is one of the group’s main vehicles for promoting motorsports culture, organising events such as the China Formula 4 Championship, China Formula Grand Prix Championship (CFGP), along with building the Ningbo International Speedpark. 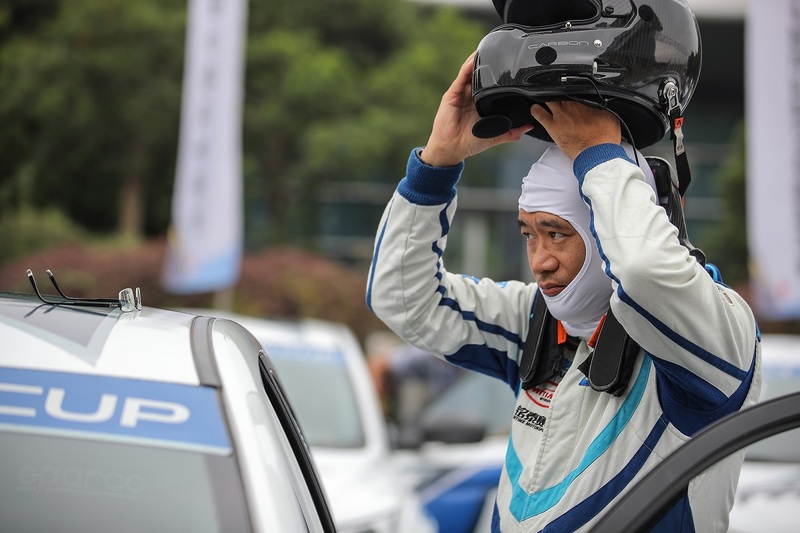 Each experience camp attracts hundreds of participants and the best drivers get invited to Geely Speed Challenge Race events held in Zhuhai, Chongqing, Xi’an, Chengdu, Changsha, Shanghai and Ningbo. Also invited are various members of the media such as Hazel Pan, a former psychology lecturer. She left academia after receiving an ice driving experience as a prize in a marathon. Now working as a motorsports journalist she gets to attend driving events two or three times a month. “Normally I only drive regular cars on the track. The Geely Emgrand GL is made closer to a proper race car and is quite different for me” says Pan expressing quiet confidence for the final race. 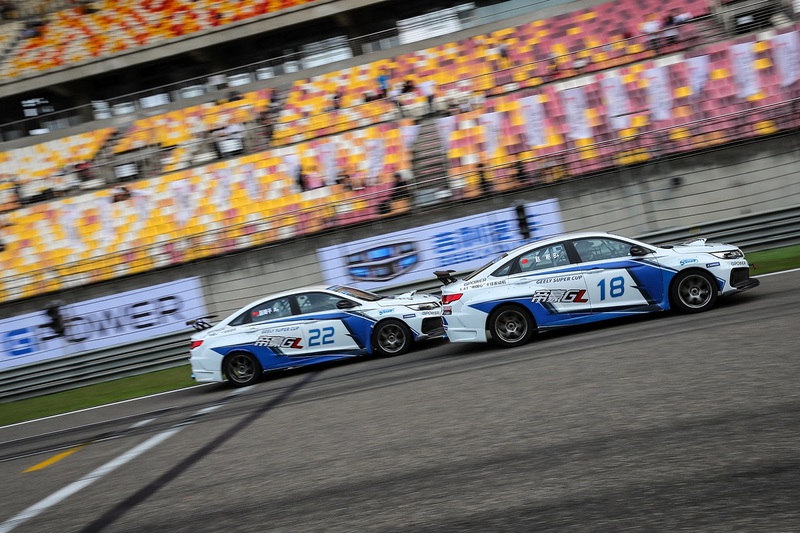 Geely Speed Challenge Race participants get a four day experience. The first two days give training to handle the car. Saturday saw the first twenty minutes free practice on the circuit. Sunday however is the most intense with an early morning free practice and later before lunch qualifying laps to decide grid position. Late afternoon the actual race consisted of six laps of the circuit. 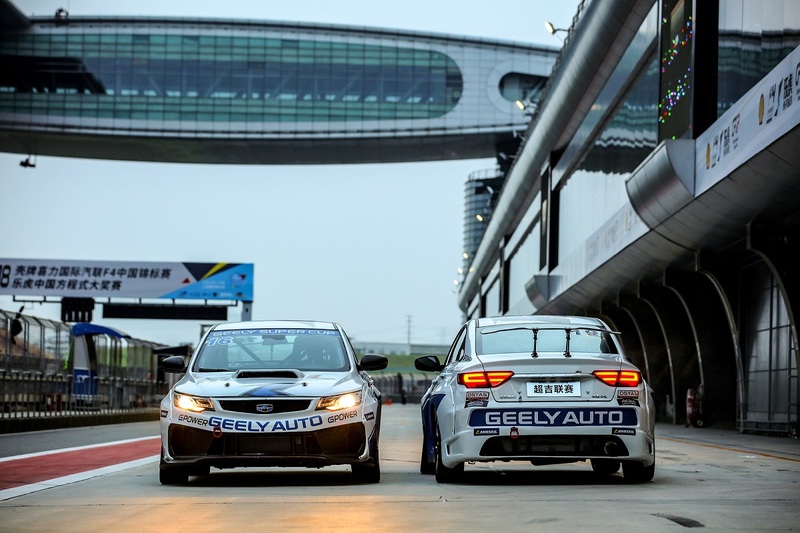 Track time on an F1 circuit like Shanghai doesn’t come cheap and yet thanks to Geely, motorsports fans get an opportunity to drive a total of well over twenty laps in a race car for free. 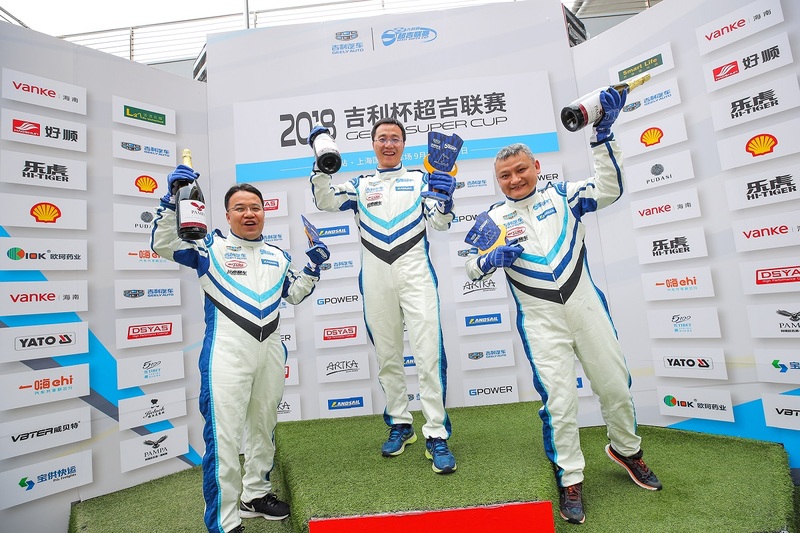 Top drivers from the Speed Challenge Races got an invite the final Geely Super Cup Race held at Ningbo later in the year – needless to say I wasn’t one of them!